Some of you might remember the original Kopi Armor located just inside Taman Hutan Raya. And you might also remember that it had to close down over legal difficulties related to government bureaucracy. 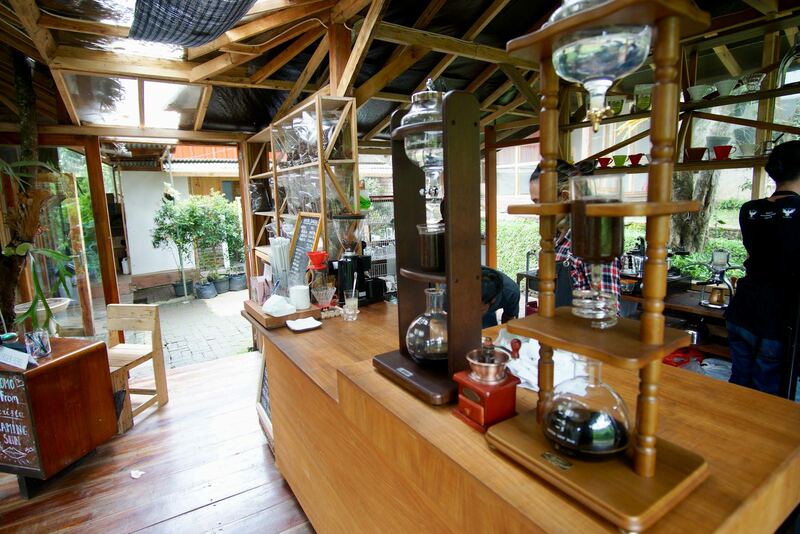 Well, the owners already owned another coffee shop called Armor Kopi Garden, but it was sort of like a hidden secret. So when the main Kopi Armor closed down in October 2016, the owners decided to encourage their customers to visit Armor Kopi Garden, just 300m up the road. Armor Kopi Garden has a massive car parking space out the front which leads up to a familiar wooden building. The building looks similar to the one at TAHURA, but it’s actually a different building. The original TAHURA building has been disassembled and moved to a location nearby. 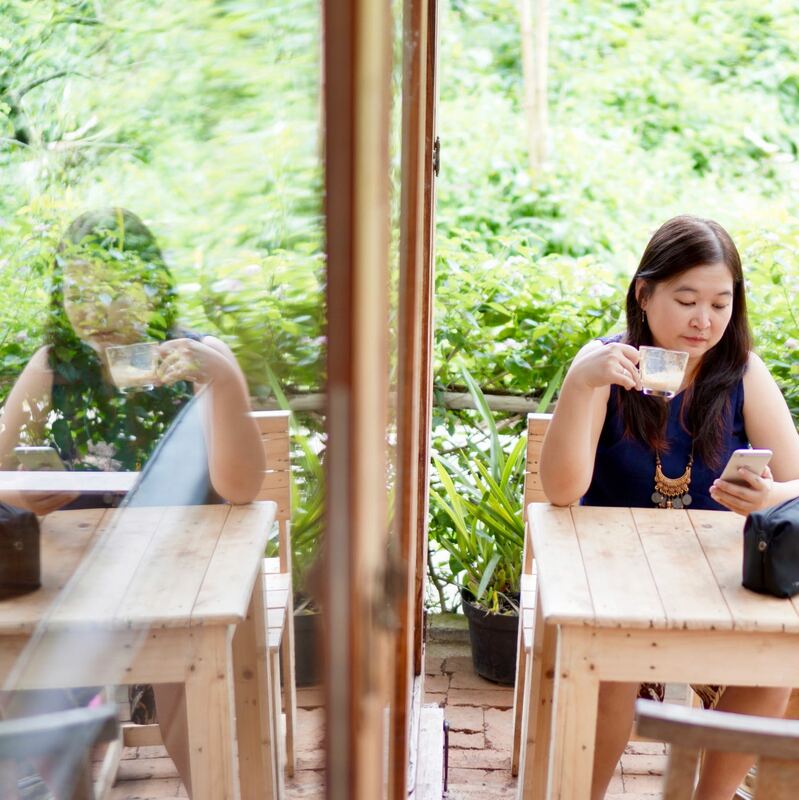 The drinks and snacks at Armor Kopi Garden are just as you remember them at Kopi Armor. Lots of manual brew coffee in both arabica and robusta, lots of snacks such as pisang goreng and roasted beans packed for you to take home. 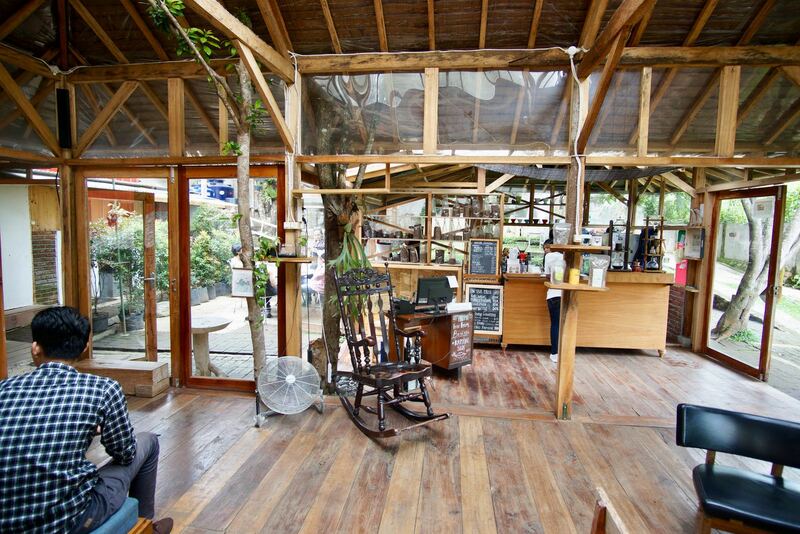 We really like the layout of Armor Kopi Garden as it really lends itself to endless nongkrong. 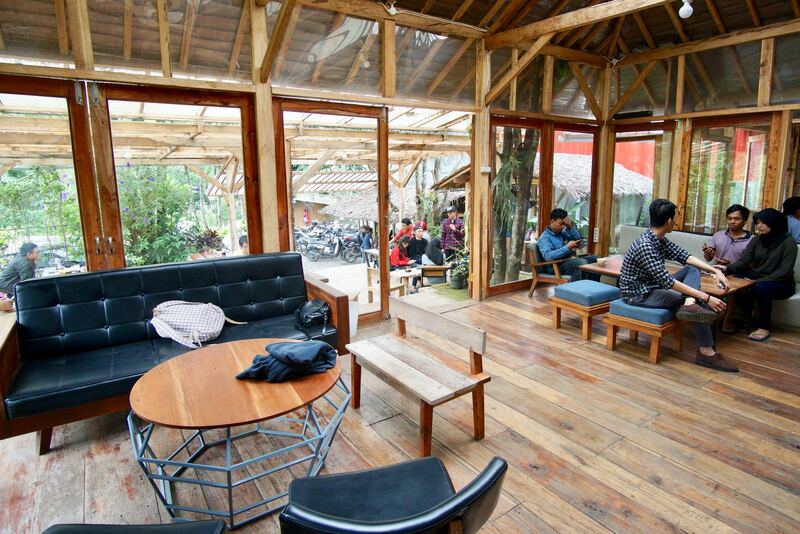 A cool open air veranda and a cozy indoor area: it just is perfect for nongkrong. 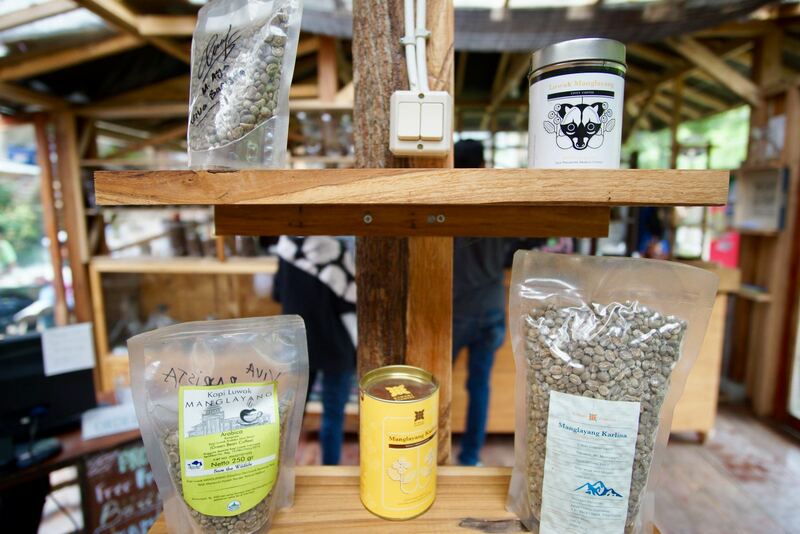 Prices here aren’t as cheap as somewhere like Warkop Modjok, but they’re not as expensive as modern coffee shops like Noah’s Barn. The cheapest coffee is still Rp10.000, but when you add fresh milk, prices do go up steeply. And that’s normal. Drink your coffee strong and black — much cheaper. Armor Kopi Garden is in our opinion every bit as good as the previous Armor Kopi in TAHURA. Sure, there are no pine trees here, but you do get the cool breeze, lots of plants and lots of wooden furniture in a wooden building. And great coffee. 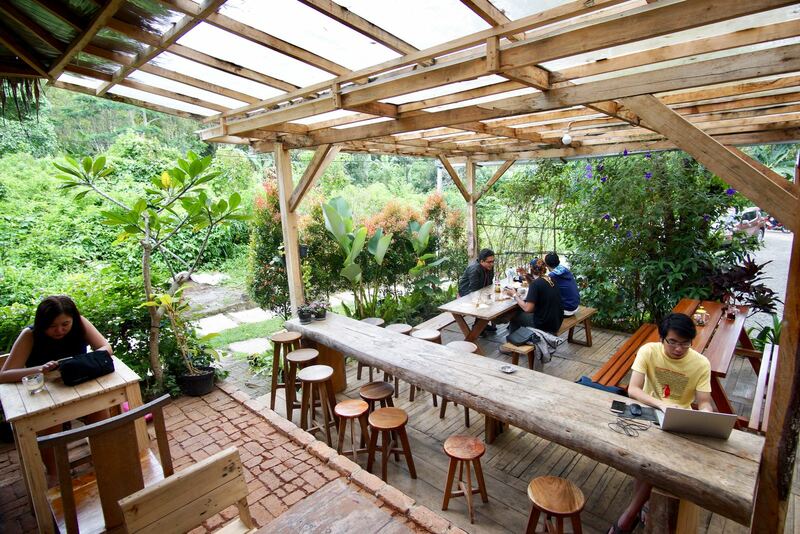 A top spot to nongkrong in Bandung.